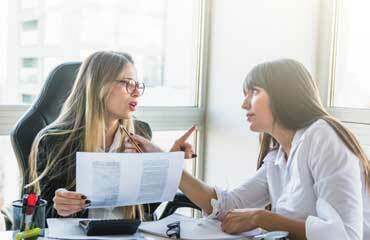 Whether it’s exhibiting bad behavior at the office Christmas party, or simply insulting a fellow employee, the repercussions of being responsible for bad behavior can travel far. In today’s social media environment, the news of an incident that occurred in room 614 of Research and Development at 10 a.m., can reach the entire floor and beyond in a matter of hours. In our following example, the bad behavior occurred in a public place, and caused quite a stir. Please allow me to take this opportunity to apologize for my unprofessional behavior during our meeting on 3/17/2019. I understand from my co-workers how badly this looked to our clients, and to our upper management. This in turn made you and our department look bad as well, and for this I am regretfully sorry. I truly comprehend your grief over this incident, and the calls you had to deal with from onlookers who were utterly confused at what was occurring. It’s because of this that I am composing this letter. I cannot tell you how unhappy the entire situation has made me, knowing that you would be the one taking most, if not all of the fall. If I could do it all over again, of course I would take a different route. But that is not the case. I am here to state that I’m taking full responsibility for my actions, and holding no one else to blame, nor am I sharing responsibility with anyone. Truth be told, I am not one who can hold his liquor very well, and those 3 glasses of wine we shared at our official brunch aggravated my sensibilities to such an extent, that I could not help but to fall and trip over the waiter on my way to the lavatory. While the majority of our party found this a funny episode, I am aware that you did not, and rightly so. I was of sound mind walking into the restaurant and knew what I could handle and what I could not. As a result, I plan on attending a lecture series on how to deal with such situations, which is offered at our local community college. In fact, I signed up yesterday and will be attending this weekend. I also wrote a letter of apology to the resturant and to the waiter that I fell over. If there is anything else you can think of which can us repair our current situation, so that you feel confident to not only trust me again, but be seen with me again in a public place, I will promise you that I’ll take whatever steps necessary to make this right.